New Lytham St Annes Shannon lifeboat crew training speeds up as the arrival date approaches. 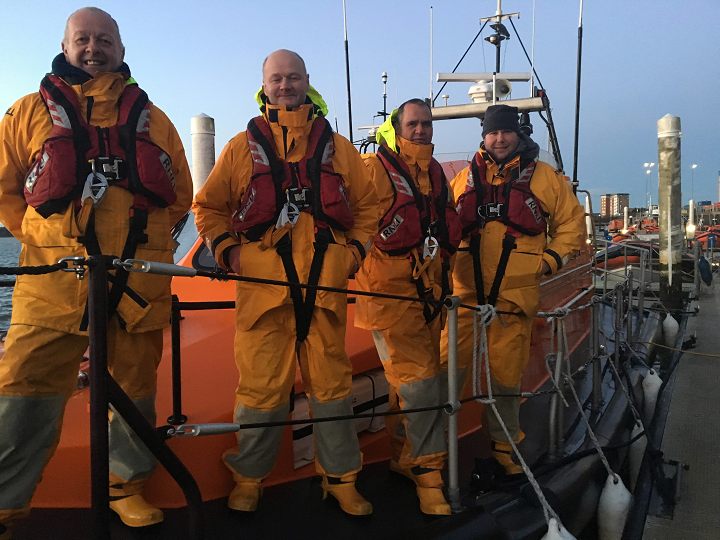 With the new lifeboat Barbara Anne due to arrive at the sea charity’s Lytham St Annes station on the 25th February 2018, the pace of crew training has quickened in readiness. A Shannon launch and recovery system (SLARS), the name given to the combined tractor and carriage, is at the South Promenade boathouse to train the tractor drivers and Shore Crew and, to assist with this, a relief Shannon class lifeboat, Brianne Aldington, came for two days of trials. Training progressed so well that one of the four drivers, Roy Black, taking part in the training on the day the Shannon returned to Fleetwood Marina actually did the launch, the first by a Lytham St Annes driver. Meanwhile the four Lytham St Annes Coxswains were at Poole RNLI Training Centre all together for a water jet course, the new Shannon being driven by jets rather than propellers. So that the Station was not left without a Coxswain while all four were away, Fleetwood lifeboat’s 2nd Coxswain / Mechanic, Steve Carroll, was drafted in to look after things. John Atkinson said on his return from Poole, “It was an exciting week. The Shannon is superb and so responsive for close manoeuvring when going alongside another vessel. 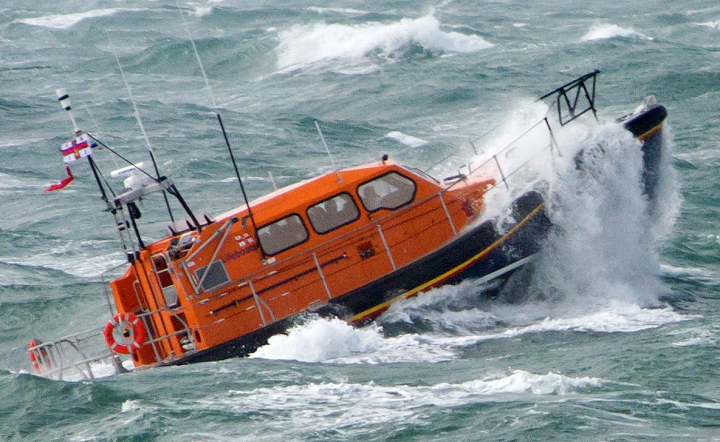 With her extra speed, at 25 knots half as fast again as the lifeboat she is replacing, the new boat has the potential to save more lives at sea”. The Barbara Anne is due to leave Poole on the 21st February and with overnight stops at Brixham, Newlyn, Kilmore Quay, and Holyhead arrive here on the 25th. 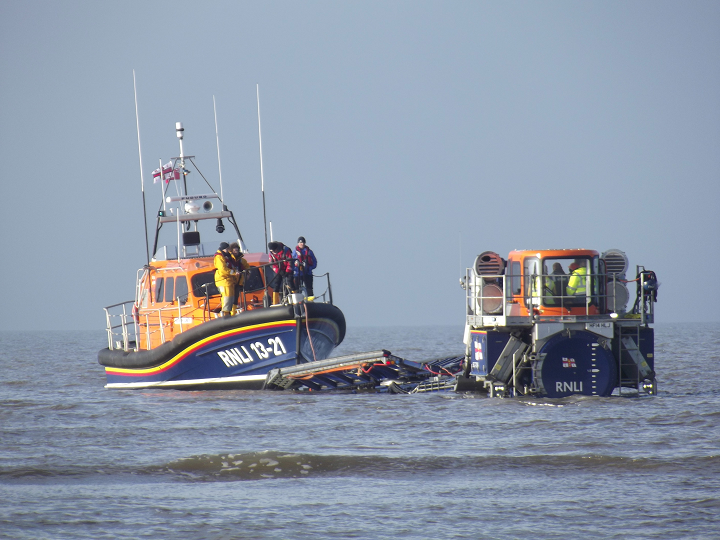 Two Lytham St Annes crews will bring her as part of their training, the second crew taking over from the first at Newlyn.